PENNSYLVANIA: Anti-Gay Bridal Shop To Close Rather Than Comply With Impending LGBT Rights Ordinance - Joe.My.God. The Christian owners of a bridal shop in Pennsylvania who have been receiving threats since declining to assist a lesbian with her wedding last July have decided to close their business due to fears of an impending ordinance that would require them to violate their faith, as well as the inability to market themselves in light of false negative reviews. “The members of our town council have made it known they will pass an ordinance soon. We have chosen to close rather than be forced to go against our faith,” W.W. Bridal Boutique in Bloomsburg, co-owned by Victoria Miller and her three daughters, explained on social media on Sunday. 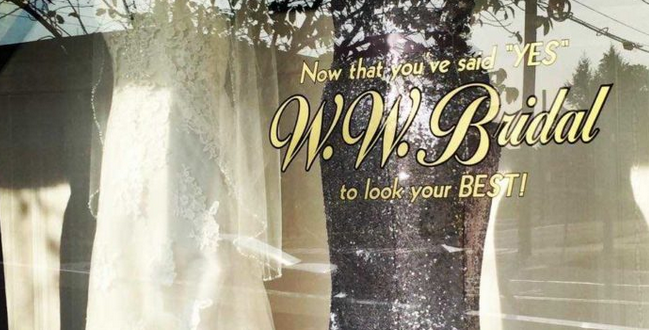 The boutique has discounted all wedding gowns to half price as the women plan to close their doors permanently on March 30.